When I worked as a teacher of English as a Second Language in an international school, I got to know students with an incredible assortment of names. Not only were these often almost impossible to pronounce but name usage was sometimes quite different to the North American and British customs I was familiar with, especially where surnames are concerned. I had always assumed that everyone had one or several first or "given" names, called Christian names in Christian countries, which are chosen for children by their parents, and family names or surnames which are inherited and shared by all members of the family. But I found out that this is actually not the case. When I looked into it further I found that there is no standard way of using names that is common to all cultures. People did not always have family names. For people living in small communities these were not necessary and so they would simply have had a single name or monomym. However, it might be confusing if several people had the same name. If there were two people living in a European medieval village who were both called John, for example, each John might have been given a second name to identify each of them separately. These nicknames eventually evolved into family names which were passed down from one generation to another. Some of these designations, such as Baker, Gardener and Smith, were based on the person's occupation, and some even indicated a female occupation. Examples of these in English are Baxter, meaning a female baker, and Webster, meaning a female weaver. Some were based on the place where someone lived, so John Hill was the John who lived on or near the hill and John Banks might be the John who lived near the riverbank. Others, like Johnson meaning the son of John, were patronyms which indicated who a person's father was or sometimes matronyms which showed who their mother was. Some interesting epithets, such as Short or Blunt, originated as nicknames describing personal characteristics. Some countries still use mononyms. These include Indonesia, Afghanistan and some southern Indian states. 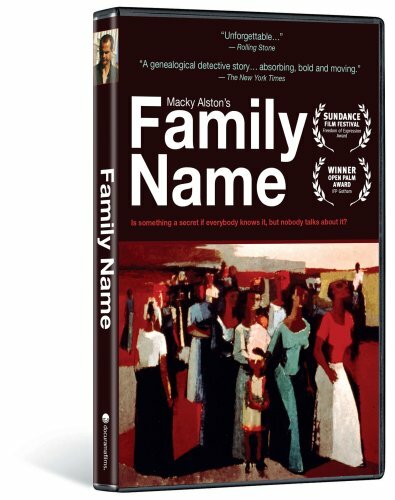 Traditionally Native Americans never used family names. In fact, people did not even keep the same designation throughout their lives. When children were born they were called something descriptive which might come from nature or reflect their personal characteristics. However, as they grew, matured and earned special respect because of their accomplishments they would earn different epithets. Arabic Muslims may also have a designation which indicates a special accomplishment or station in life. Al-Muhandis honors an engineer, for example, while Al-Hajj is given to a person who has been on a pilgrimage to Mecca. Family names are generally inherited from the father's side of the family, although there are exceptions. Baxter and Webster from England which are mentioned above indicated a female profession and so were obviously passed down from a mother to her children. The Minangkabau people of Indonesia live in a matrilineal society and inherit family names from their mothers. My Spanish-speaking students always seemed to have extremely lengthy names, consisting of at least two Christian names followed by two surnames. I found out that they use both their father's and mother's surnames. In Spanish speaking countries the mother's name is placed last, while in Brazil and Portugal it is the father's name which comes last. Some countries, including Somalia and Iceland, use patronyms, or fathers’ names. These are not inherited and so change from one generation to the next. Patronyms were historically used in Scandinavian tradition, and are still common in Iceland, where men use the suffix “son” (son of) and women use “dóttir” (daughter of). Viking explorer Erik the Red, for instance, was Erik Thorvaldsson, meaning Erik the son of Thorvald, and his son was Lief Ericson, meaning Lief the son of Eric. The Icelandic singer Björk is Björk Guðmundsdóttir, meaning Björk the daughter of Guðmund. Some Icelanders do have family names. However, these have to be approved by the Icelandic Naming Committee. Somalis use two patronymics, that of both their father and their grandfather. They have their father's name as a middle name, followed by that of their grandfather as a last name. I had always assumed that family names always follow given names, but this is not necessarily the case. Although this is the practice in Western Europe and North America, in some Asian countries, including Korea, China, and Vietnam, as well as parts of Africa and Eastern Europe, the reverse is true. Chinese people may also have a western nickname which they place in front of their family name, which results in the family name being in the middle. In the English-speaking world and several other cultures, including Japan, Nigeria and parts of India, women take their husband's surname when they get married and the children inherit their father's surname. With the rise of the women's liberation movement in western countries, some women challenged this custom by keeping their own name on marriage. Although these women believed they were breaking new ground it might have come as a surprise to them that this has actually always been a common tradition in many parts of the world. Countries where it is normal for a married woman to keep her own name include Korea and many Arabic Muslim countries. An alternative custom is to combine the names of the spouses. In some countries the woman will retain her maiden name, but use it in conjunction with her husband’s family name. In English-speaking countries, these are hyphenated and referred to as double-barreled names (e.g. Smith-Jones), and are inherited by the children. Some cultures forbid marriage between people with the same family name, even if they are unrelated. When I was researching this article I found a blog discussing a traditional taboo among the Hmong people against marriage between people who share the same family name, even though they are not related. This was also a traditional taboo in Korea. Although the law was changed in 1997 to allow people with the same surname to marry, it still remains very much a cultural taboo . Because 50 percent of Koreans share 5 family names it seems to me that this must severely limit the dating pool for young Koreans. Sikhs do not have different given names for men and women. These are followed by the religious names Singh for a man and Kaur for a woman to indicate gender. If family names are used, they follow Singh and Kaur. If no family name is used, Singh and Kaur are used as surnames, so the husband and the male children may be Singh while the wife and female children may be Kaur. As you can see, there are no generally accepted international standards for family name usage. This brief survey has been only a very general introduction to this extremely complex topic. I remember studying name usage while learning Japanese some years ago. Well not names per se but certain titles; if I'm using that correctly. Its a fascinating topic in itself and for some reason gave a flashback to this Star Trek Voyager episode where a newly married Tom and B'Elanna were discussing who will take on who's surname. Hi, Brown. I didn't see that Star Trek episode, but I did read something about a geisha once who was determined not to change her name if she married.Thanks for reading! Interesting stuff! Some of these I knew, but many I did not. Glad you enjoyed it, Leigh. Thanks for stopping by. In our culture, we do not use a family name. It is strange but we only have a first name and middle name. I do not know for what reason may be I should ask my parents. But I have never seen and heard of a person from our community who has a family name. Interesting! What is your culture? Where does your "middle" name come from? Do you get it from your father or mother's name? If so, it probably works like a patronym.